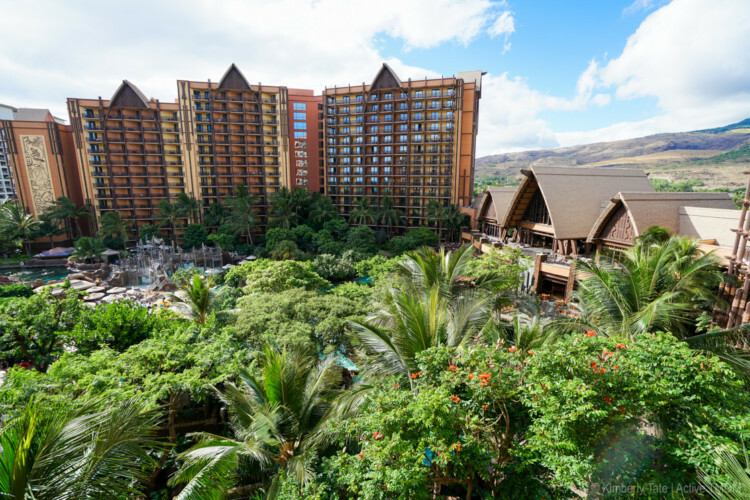 Home » Blog » Disney Worldwide » What’s Hawaiian about Aulani? There’s more to Hawaii than just sunshine and sand. Hawaiian culture and history is a big point of pride for Hawaiians. Some resorts look to just give you a room on the sand, but Disney’s Aulani is different. 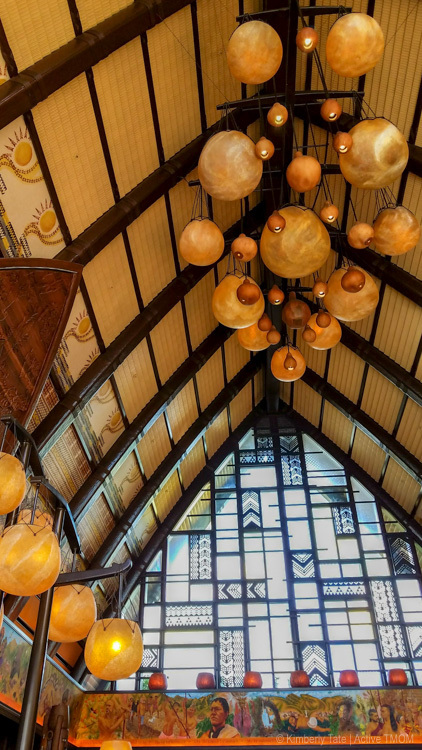 Aulani gives its guests the opportunity to hear, feel, and learn about Hawaiian culture during their stay. My family has fallen in love. It’s hard not to fall in love with Hawaii, but our hearts were certainly won over during our recent stay at Aulani, the Disney luxury resort on the island of Oahu. Our experiences at the resort not only brought us vitamin D and smiles, but also a better understanding of the special Hawaiian culture and heritage. The word Aulani means “messenger of a chief.” Disney engaged Hawaiian cultural advisers in planning the luxury resort. I was told that the emphasis was “Hawaii first, Disney second.” From the layout of the resort to the activities offered, Disney hit the mark with helping families get glimpses of Hawaiian culture. 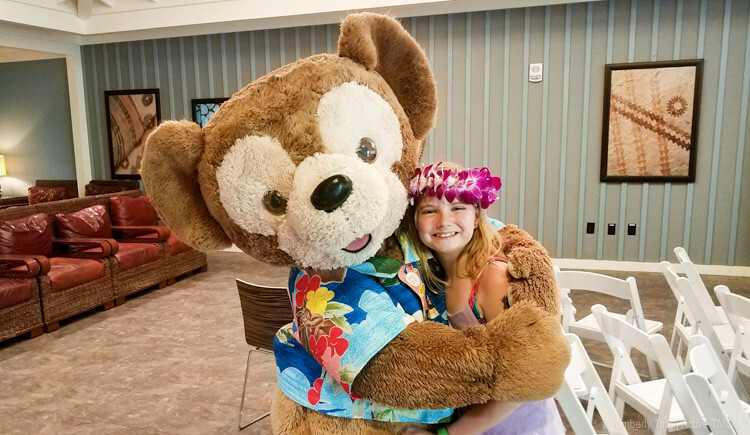 Here’s a look at some of the way you can experience an immersive Hawaiian family vacation at Aulani, A Disney Resort & Spa in Ko Olina, Hawai‘i. When we first arrived at Aulani, we were greeted with a traditional Hawaiian lei. In Hawaiian culture, leis are a symbol of affection when someone arrives or leaves. We were greeted with three different leis. I was offered the traditional flower lei, while my husband was offered a kukui nut lei. Of course, you’re welcome to choose whichever of the two you’d like no matter your gender. For kids, there also is a Maui hook necklace that makes a great keepsake for the trip. 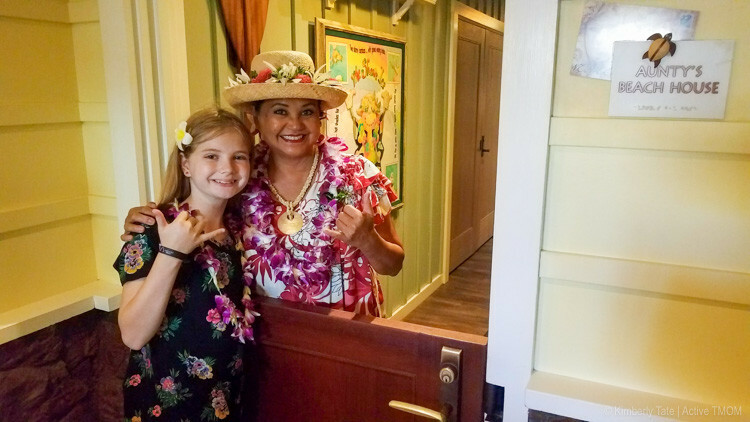 When I first arrived at Aulani I was able to take a tour with Manako, Aulani’s ambassador for the resort. He shared some amazing insights into the architecture of Aulani that holds cultural significance. First let me note that the Aulani logo and curved building designs are representative of a traditional Hawaiian canoe house. Another cultural feature comes in the layout of the entrance and lower levels. The lobby is located at the base of the mountains and then you flow down and out towards the ocean. This feature is a nod to the Hawaiian belief of ahupua‘a, which represents the traditional division of land. This belief followed the natural process of watershed and was believed to help connect a community and work together with the land. 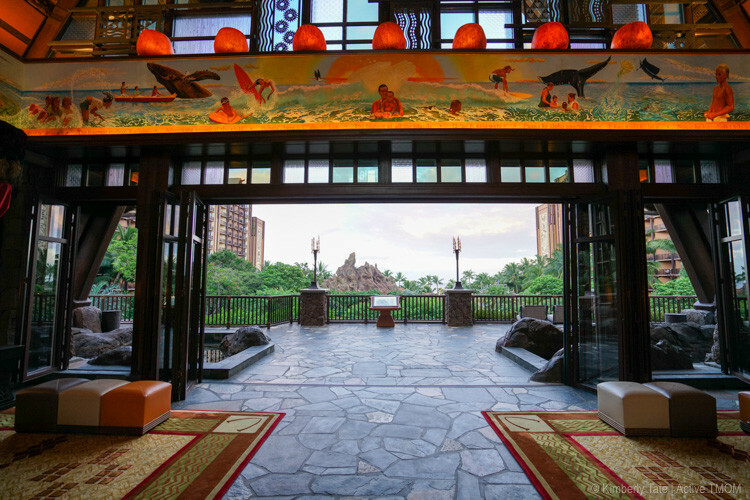 Beyond the entrance you find that there are two wings to the Aulani resort. I learned from Manako that these wings are named Ewa and Waianae, and have male and female characterization, a balance that is important in Hawaiian culture. 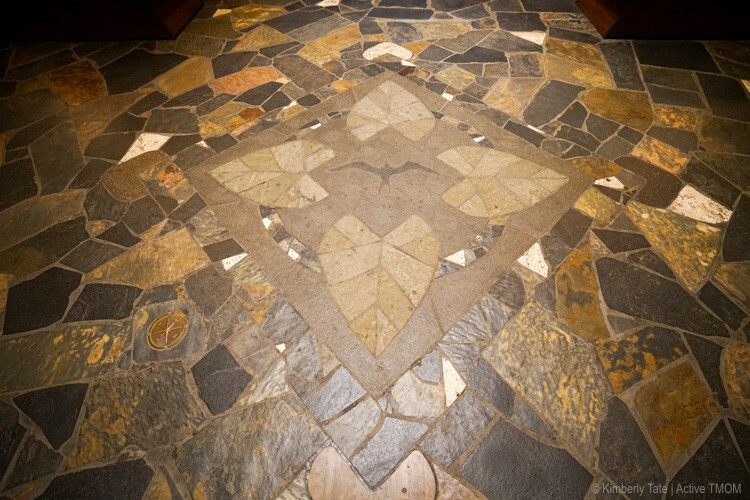 A neat feature that is both Disney-minded and Hawaiian is the compass rose that is placed in the center of the lobby. This compass doesn’t focus on the traditional north / south directions, but instead represents directions for Hawaiian culture: mauka (to the mountains) and makai (to the sea). Hawaiians deeply value the family unit. Ohana means family, and is often used in signage and programs around the resort. In Hawaiian culture, elders are referred to as “auntie” and “uncle.” It doesn’t mean they are related by blood or marriage. Rather, it is a term of respect and endearment to family friends and neighbors–the “village” that raises the children. You’ll see auntie and uncle mentioned often around the resort. Aunty’s Beach House is the kids’ club for the resort; it’s home to a resident “auntie” who leads the kids in activities. The Kālepa’s Store is the name of the gift shop on property, and is a nod to the “auntie” and “uncle” run general stores of Hawaii’s history. The store walls are adorned with photos of real general stores from the island. If your kids do the Menehune Adventure Trail they’ll be led around the property by Auntie. One of my favorite discoveries of Hawaiian culture came at a bar of all places! 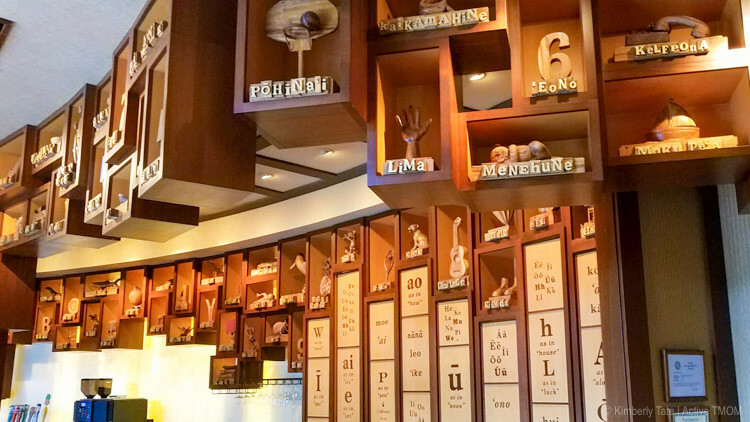 Ōlelo is Hawaiian for “word” or “to converse.” The Ōlelo Room was created to help showcase and teach the Hawaiian language. I was even challenged by Manako to order my drink in Hawaiian. My kids loved seeing the woodcarvings of animals and objects with Hawaiian names that line the walls. My youngest was especially happy to see ukulele. 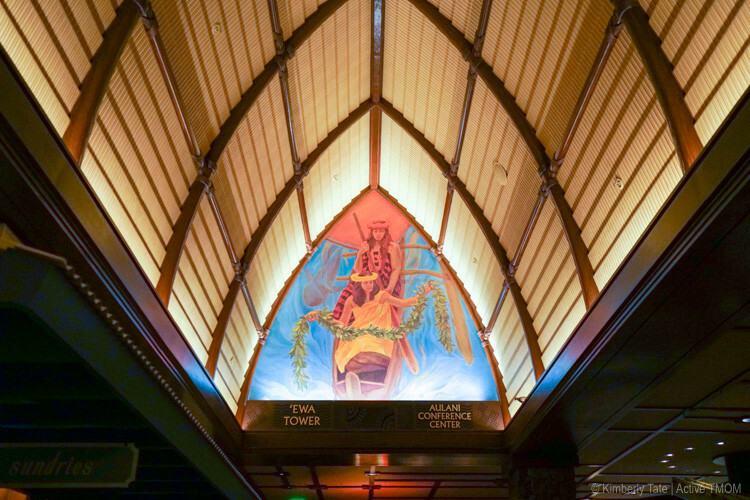 Cast members (Disney’s term for its employees) at the Ōlelo Room have to speak fluent Hawaiian to work there. TravelingMom Tip: The Ōlelo Room is is a bar/lounge, but it’s not just for grown ups. At night it does attract a lot of couples, but during the day we saw many kids enjoying the food and language. I highly recommend the happy hour nachos! At the Pau Hana Room – Community Hall — you can register and participate in daily activities. Most of these revolve around teaching or experiencing Hawaiian culture. Whether you’re looking for ukulele lessons, or would like to learn how to make a lei, there are many classes to help immerse you in the Hawaiian culture. Check out the free things to do at Aulani! 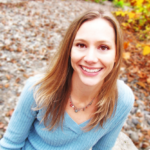 TravelingMom Tip: Activities can book up fast, and offered on a first come first served basis each day. I recommend lining up about 15 minutes before the Pau Hana Room opens to make sure you can get into the popular activities. The KA WA‘A Luau is a great opportunity to get hands on with the Hawaiian culture. Arrive early to be able to visit special craft stations that let you make a lei, practice kapala (art stamping), pound taro, and even get a tattoo! The KA WA‘A Luau has a Disney flair, of course. That means it has more of a storyline rather than just the history lessons and showmanship of the other luaus I’ve seen. From the beginning craft activities to the brother/sister luau story, this luau seems designed for the Disney kid crowd. The last note about the Hawaiian culture at Aulani has to do with the artwork around the resort. I was shocked to discover that Aulani houses one of the world’s largest private collections of contemporary Hawaiian art. More than 50 pieces decorate the hotel, including oil, acrylic and watercolor paintings, batik on silk, sculptures, wood carvings, kapa and bas relief. 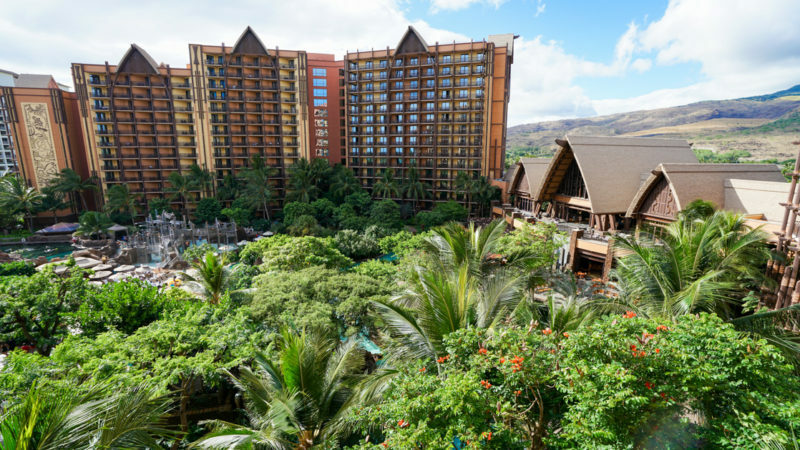 After spending five nights at Aulani, I come back to what Manako told me early on: the focus at this luxury resort is Hawaii first, Disney second. I can honestly say that I think Disney met its goal. 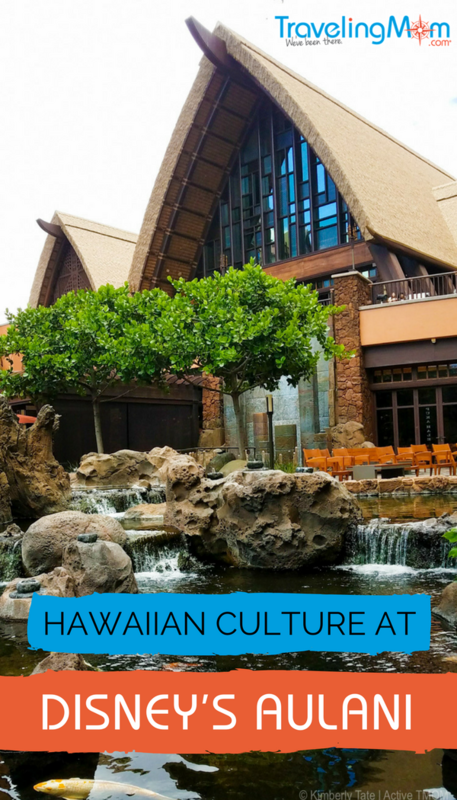 We loved seeing parts of Hawaiian culture weaved into everything we did and saw during our time at Aulani on Oahu. Get Help Booking Your Aulani Vacation! Our partners at Destinations in Florida are experts in all things Disney. Contact them for customized help planning your luxury Disney resort vacation at Aulani. We have an affiliate relationship with Destinations in Florida. 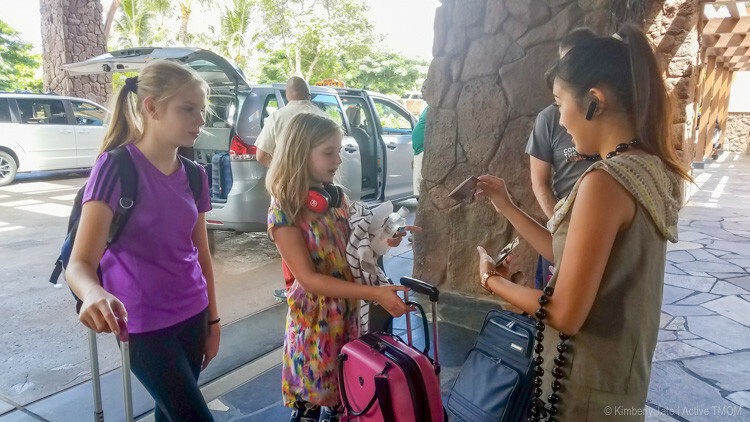 If you book through the service, you will help support TravelingMom in addition to getting the help you need to book a magical Aulani vacation.